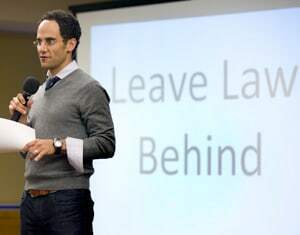 Casey Berman (University of California, Hastings College of the Law ’99) is the founder of Leave Law Behind, a career coaching program to help attorneys transition out of the law and land “non-law”, alternative careers. Leave Law Behind grew out of the reality that not every lawyer should continue to practice law … and that an attorney’s skill set can be applied to other industries to add value. Leave Law Behind helps attorneys who want to leave the law to showcase how their “legal” skills are actually transferable to alternative, non-law job in which they can add value and create a new life for themselves. Casey Berman graduated University of California, Hastings College of the Law in 1999 and after a few years in the legal field left law behind to create a number of different enterprises. The Hastings career services office asked him to speak about his professional experience in branching out from the law in July 2009 during its summer speaking series. After speaking to a packed room of lawyers and law students, Casey hatched another business idea – Leave Law Behind. 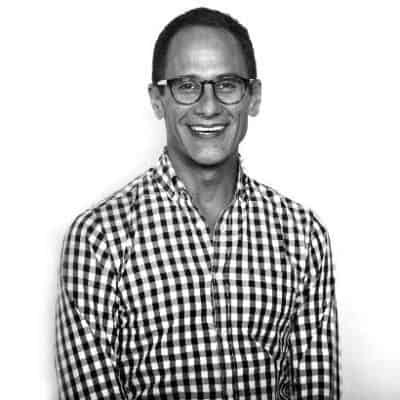 Casey also works with Schireson Associates, a boutique market research and strategy consultancy with a special focus on enterprise leaders in technology, consumer products and media. Prior to that, Casey was Chief Communications Officer of File Right, a technology company that empowers its users to securely, affordably and confidently file their immigration applications (Green Card, Citizenship) on their own with the U.S. Government. Casey led FileRight’s corporate planning, spearheaded its business and corporate development approach and helped steer its overall brand strategy. In addition, Casey served for three and half years as Vice President of Operations and In-House Counsel at Workshare, a document comparison, collaboration and security software company where he focused primarily on software licensing. From 2000 to 2001, he served as Business Development Associate and Legal Affairs Manager for I-Impact, an Israeli data-warehousing and predictive analytics start-up. He is also Managing Director of the boutique San Francisco investment bank, Berman Capital. In December of 2006, Casey sold his first company, Gytha Mander, a high fashion men’s clothing line, to Revel Industries. Casey holds a BA in Rhetoric from the University of California at Berkeley and a JD from the University of California, Hastings College of the Law. He is licensed by the State Bar of California and holds the Series 7 and 63 security licenses.